In Smith v. Schwochert, Green Bay police were apparently alerted to several suspicious packages that were being transported through FedEx. Upon inspection, a trained dog alerted police officers that the boxes contained illegal drugs. After that, a law enforcement official dressed as a FedEx employee and delivered the packages to the intended address. Green Bay police then obtained a search warrant for the address where the packages containing marijuana bricks were delivered. The individual who signed for the packages stated she was accepting the deliveries on behalf of a man who paid her cash after pick-up. 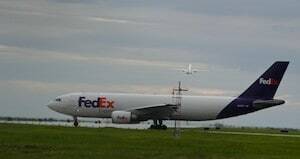 In addition, another individual alleged he was also paid by the man to receive FedEx deliveries. As a result of the purported drug shipment scheme, the man was charged with possession of THC with intent to deliver. At trial, the defendant asserted that he had no involvement in the drug crime. He also failed to contest the weight or chemical composition of the drug evidence. The defendant ultimately stipulated that the amount of marijuana discovered by police was sufficient to constitute a Class E felony. Following a jury trial, the defendant was convicted and sentenced to serve six years in prison followed by five years of supervised release. The defendant next filed a post-conviction motion that argued the evidence was not sufficient to support his conviction. The man also claimed he was denied his right to have jurors determine the amount of drugs at issue. The trial court denied the defendant’s motion based on his prior voluntary stipulation regarding the weight of the marijuana at issue. The Wisconsin Court of Appeals reversed and stated the evidence was sufficient to find the defendant guilty of possessing marijuana with intent to deliver, but the man was denied his right to have jurors determine the amount of drugs uncovered. The Supreme Court of Wisconsin then reversed the appeals court. The court stated that, although the waiver was improper and the defendant was denied his constitutional right to have the jury determine the weight of the marijuana evidence, the lower court’s error was harmless. The high court also concluded there was sufficient evidence to sustain the jury’s verdict. Next, the United States Supreme Court declined to review the legal standard applied by the Supreme Court of Wisconsin. The defendant then filed a petition for a writ of habeas corpus with the Eastern District of Wisconsin. When such a motion is filed, a prisoner alleges that he or she is being held in violation of the U.S. Constitution or other laws of the nation. According to the federal court, a habeas request in a case that was fully litigated in state court must be denied unless the ruling was clearly contrary to federal law, unreasonably applied federal law, or was based on an unreasonable factual determination that was contrary to the evidence presented at trial. After examining the facts of the case, the Eastern District of Wisconsin stated none of the defendant’s claims provided a sufficient basis for habeas relief and denied his petition. If you have been charged with possession of marijuana in Wisconsin, you should have a reliable criminal defense lawyer on your side to advocate on your behalf. To speak with a hardworking drug crimes attorney today, contact the law offices of Reddin & Singer, LLP through our website at www.reddinandsinger.com or give us a call at (414) 271-6400.